When people visit your company website, does it take more than a second or two for it to load? Believe it or not, those few seconds could be hurting your business in more ways than one and hinder profit. When you take the time to improve your website speed, it will make an immense difference for when visitors come to your site. If you remain unconvinced, here are five ways that your website speed and performance could potentially be hurting your business as we speak. 1. People lack the patience to wait for a slow website. They’ll close your website before it has even finished loading. 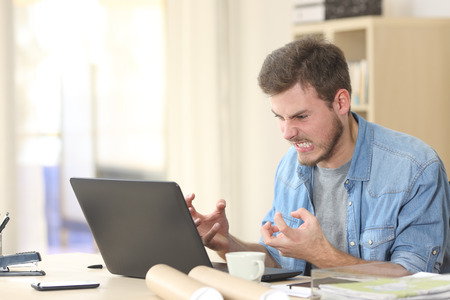 As an internet user, there’s nothing more frustrating than trying to visit a website only to have it take 10 or 20 seconds to load completely. People are more impatient than ever these days, and if they see that a website doesn’t load immediately after clicking, they’ll likely move on to the next website. Studies have suggested that about 40 percent of people will actually leave a website if they find that it takes more than three seconds to load. So, though your website design and flow may be pristine, most users won’t even make it far enough to see it. 2. If you do manage to keep the user around, they may not be willing to explore the other (important) areas of your website. Some people might make the decision to wait the few extra seconds for your website to load if it’s slow, but once they get to your homepage, they’re less likely to click around on your site knowing that they’re going to need to wait a few extra seconds for each individual page to load. Potential customers won’t even make it to the most important areas of your website if your performance isn’t up to par. 3. A slow site may make potential customers apprehensive about purchasing anything on your website. If your website is taking a long time to load, many people aren’t going to trust you to process sales through your site. Even if your site is completely secure, they’re not going to feel safe punching their credit card number into your site if they know your site is going to turn around and take a long time to process a transaction. Improving your site’s speed will allow for a more secure transaction. 4. It can affect your website’s search engine optimization. Search engine optimization, or SEO, is a delicate part of your marketing strategy that can be easily impacted by a slow-moving site. Google and other search engines are given the task of finding the most valuable and legitimate sources to present to users that will answer whatever their search query may be. Today, search engines are taking site speed into consideration when ranking each website. If Google can’t make it through to your website, it won’t subject a user to it. 5. 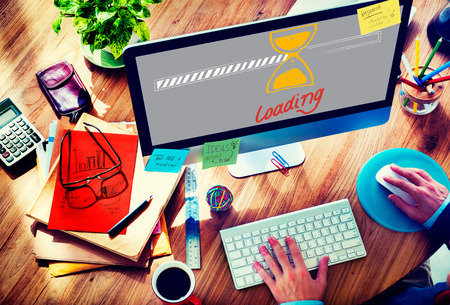 A slow-moving website can leave a lasting impression, but not in the way you want it to. If people have a terrible experience with your website loading slowly the first time they visit, there’s a good chance they’re not going to become a returning visitor. Even those people who have some sense of loyalty to your brand might not bother coming back to your site again if speed and performance are a consistent problem. By bringing your site up to speed, you will create a decent first impression to your visitors and with that, establish a good reputation for your business. Do you want to make more online sales, improve your conversion rate, and, most importantly, provide your customers or clients with the best experience possible when they visit your website? Look to improving your site’s speed and performance. You can also steer clear of CSS files and reduce the number of heavy images that you’re using throughout your site. This could have a direct effect on how it performs. Speed and performance of your website are vital to finding success in your industry, but it doesn’t stop there. So, you finally get your website up to speed, but that won’t prove beneficial if the rest of your business is left behind. Speed and performance come into play throughout your daily operations, starting with your internet connection. Latency in your connection can cause discourse in the many processes of your business, such as the volume of phone calls your network can handle. Test the efficiency of your internet connection to continue the efforts of constructing a better communications system both internally and externally. Vaspian values speed and performance and can show you how to make your company’s phone system faster and more reliable. 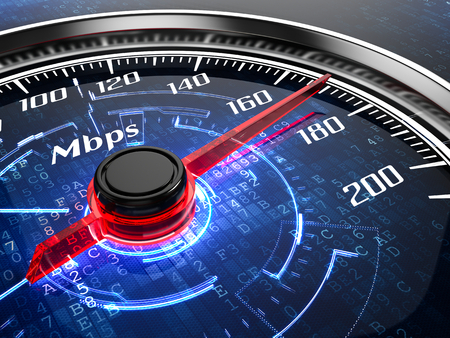 Start by running a speed test to see if your internet connection is capable of handling a state-of-the-art VoIP phone system. Then, call us at 1-855-827-7426 to learn more about our VoIP systems and how they could benefit your business!